It’s 9:19 PM right now, and as I look outside, I can still see a faint blanket of light weaving through the dark outline of the treetops. That can only mean one thing — it’s summer, the season of long days, sticky skin, and sweet treats. To celebrate this much-anticipated season, my lovely friend, Lola, of Lola’s Cocina, is hosting the 2nd Annual #PaletaWeek. Paletas are Mexico’s version of the popsicle, but the main difference is that they are made with fresh fruits (and vegetables!). 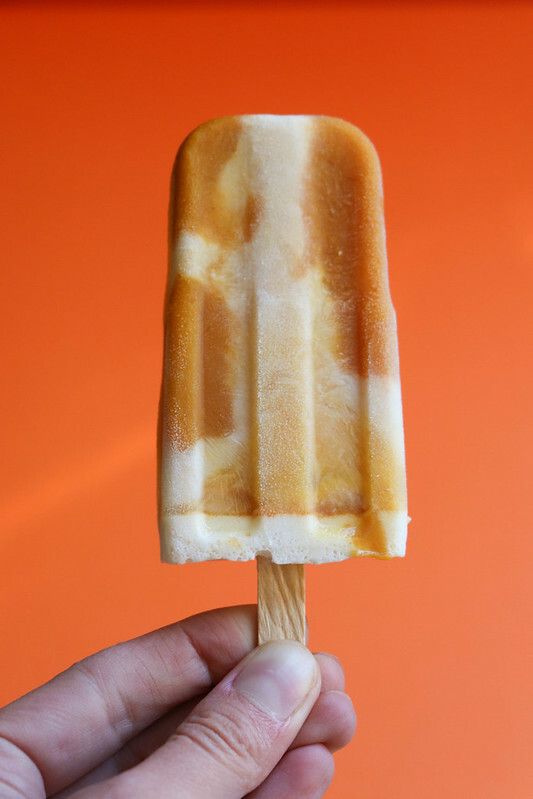 Unlike their high-fructose corn syrup counterparts in the U.S., paletas burst with flavor thanks to the use of peak-season produce. When it comes to food, the final product is always a reflection of the ingredients used to make it, and paletas are no exception. For this year’s #PaletaWeek, I decided to create a recipe that combined the best of Mexico and the U.S., a fusion of two cultures — flan meets apple pie if you will. I took one of my favorite American desserts, the carrot cake, and merged it with the creamy Mexican drink, the horchata. This bicultural duo works so well together because the cinnamony flavors of both overlap and tie the two together. For the carrot cake base, I used the spicier Cassia cinnamon, while for the horchata, I opted for the traditional Mexican (Ceylon) cinnamon. 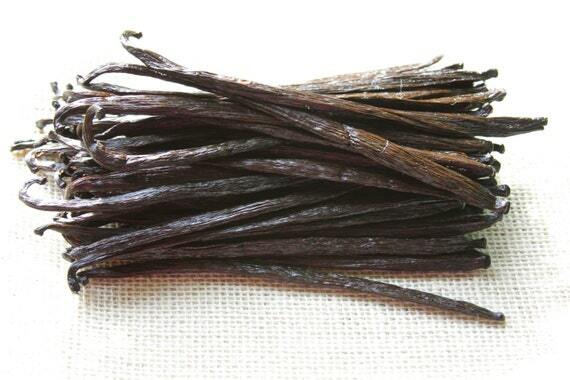 Both lend that familiar trace of fragrance, but each represents its own unique culture. I let the flavors and colors swirl together because they look prettier, taste better, and who needs a wall, right?! Enjoy this cultural fusion and happy beginning of summer! →Soak for 8-24 hours. Pour all ingredients in a blender and blend on high speed for 2 minutes or until well combined. Strain through a fine-meshed strainer and discard rice/cinnamon. →Pour the rice/cinnamon milk back into the blender and add the rest of the ingredients. Blend on high speed for 1 minute to combine. →Pour in a bowl and refrigerate for at least one hour. →Place carrots in a small saucepan and cover with water. Bring to a simmer over low-medium heat, and simmer for 10 minutes. →Remove from heat and strain the liquid. Place soft carrots in blender and let cool for 10 minutes. →Add all of the ingredients in the blender with the cooked carrots. Blend on high speed for 2 minutes until well combined. →Pour into a bowl and refrigerate for at least one hour. 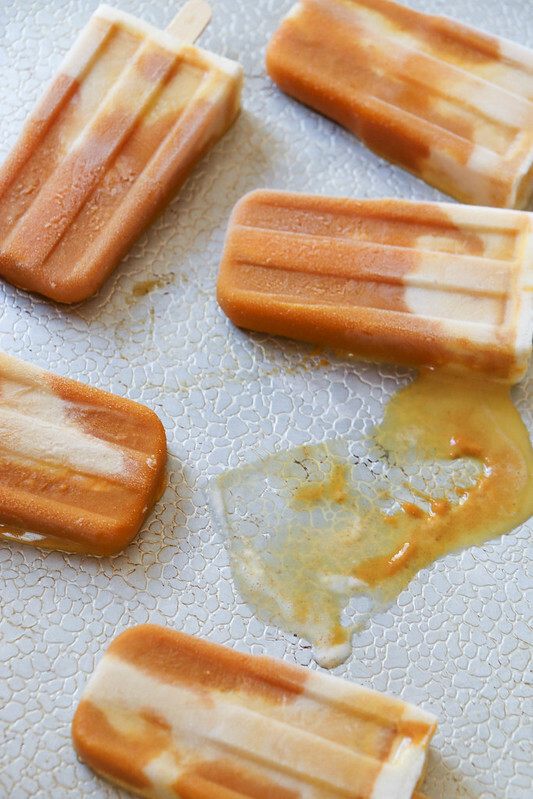 →To remove the paletas from the mold, dip the mold in warm water for 20+ seconds. Wiggle each popsicle to remove from the mold. 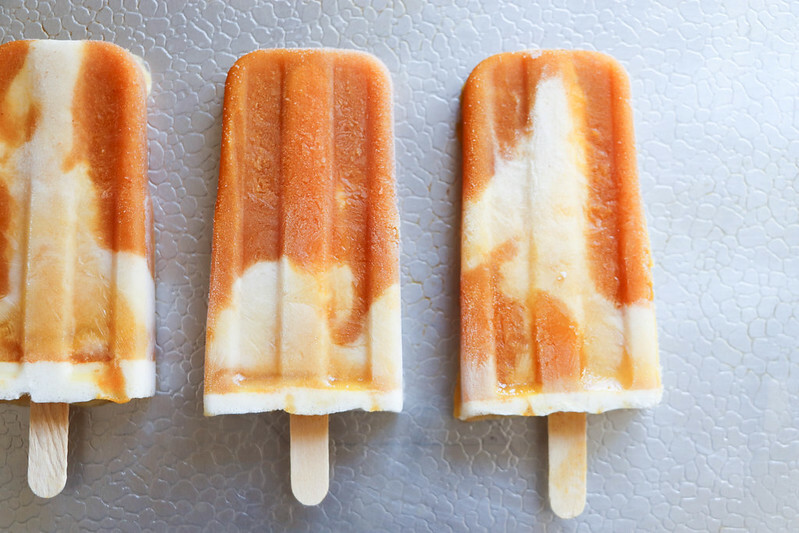 →Place the popsicles on a parchment lined baking sheet and place in freezer to firm up. Enjoy! I used Cassia cinnamon for this part to provide a different flavor than the horchata. I did about half of my paletas with the carrot mixture on the bottom and the other half with the horchata on the bottom. I like the mix of the two. I don’t freeze the mixtures in between because I like that they swirl together a little bit. I love the photo with the orange background, beautiful. I agree, the carrot and horchata blending is much sexier. OMG I love everything about this recipe and write up!